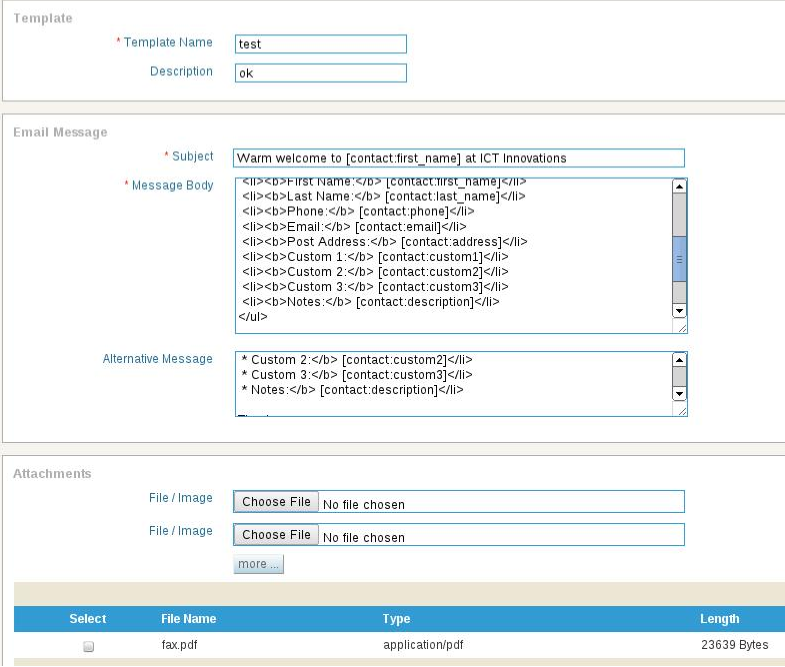 ICTBroadcast user can create various email templates for Email broadcasting campaigns. Email template is a sample email text where user can provide subject of the email, email body, alternate email body (optionally for receivers who don't have html support), file attachments, use custom tokens in place of receiver's name, email and contact information etc. Once email template is complete, user can use it to broadcast to its contact list of an email campaign. Any number of attachment files to send with email. To attach a file, select it from choose file field and click save button at the top of the page. To remove an attached file, simply check the select box against it and click save at the top of the page.